A bear I would never buy. The warning is very clear about language. I believe this golf visor was in the men’s section. The below translates into roughly $60USD per melon. And Tokyo is the 6th most expensive city currently! 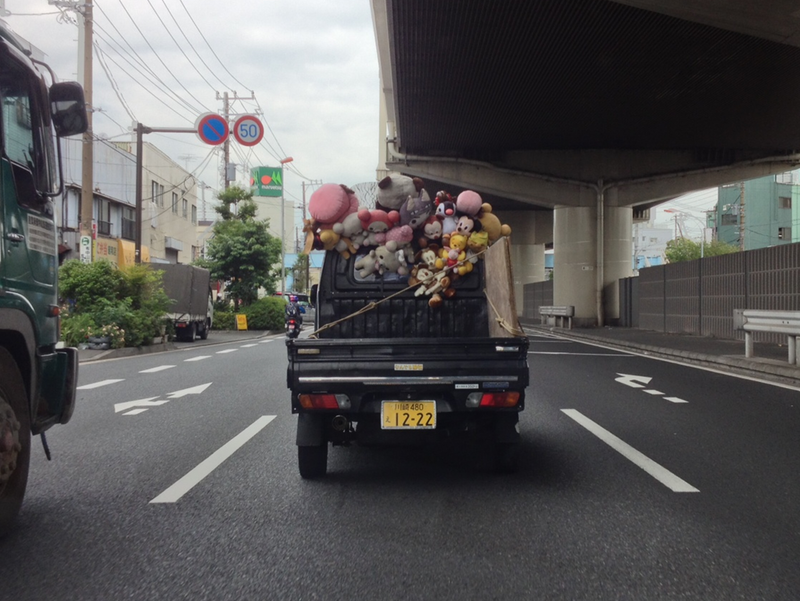 To say that Tokyo has it’s “own sense of style” underplays the statement .. as does beating to it’s own drum. Tokyo style is head-turning to say the least. Timeout Tokyo has a great series on the topic named style of the day, you can see the full series here. 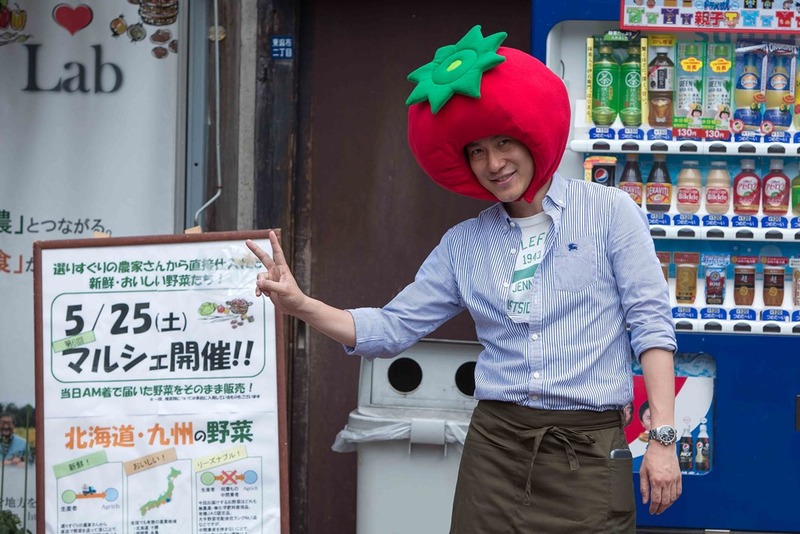 This outfit makes complete sense, as he is in Yoyogi park. Foreigner in a foreign land …. WHY WOULDN’T YOU WANT STUFFED ANIMALS? All over the back of your pick-up truck filled with yard tools? Logical isn’t it? 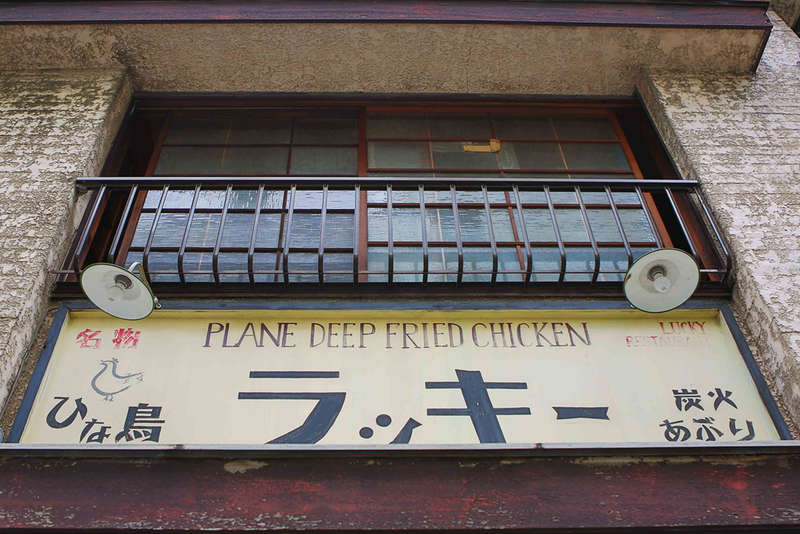 As seen in Tokyo, Japan. 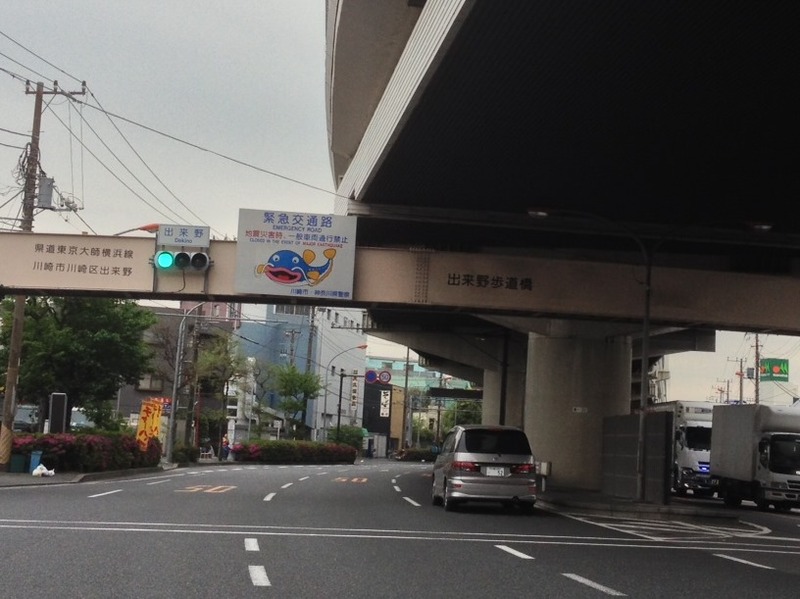 It makes sense in a city where a large carp will guide you during a earthquake. Like I said before, when you are walking through Tokyo, you need to look up. I have no idea why this one caught my eye in passing. I was walking from lunch and noticed the print on the front of this dress. 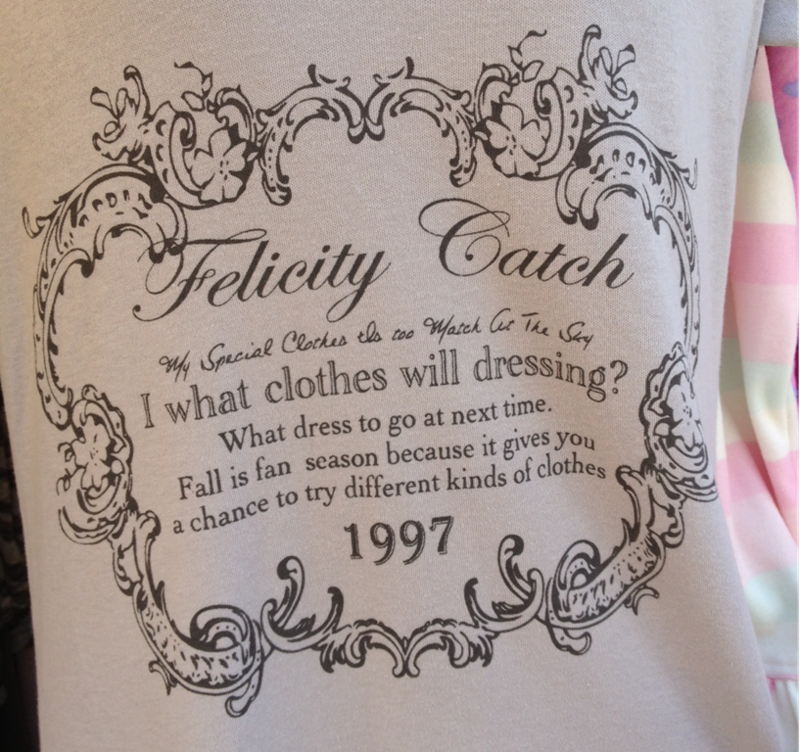 Who/what is Felicity Catch and why grammar do time so bad? The only good thing, I don’t write anything down in Japanese. Loved that this guy was out there drumming up some business in front of his store. Japan and Canada appear to have a very different view of what constitutes a rough and tumble “bad boy”. In Canada, that would be a Marlon Brando type or a hockey player. Perhaps a UFC fighter. 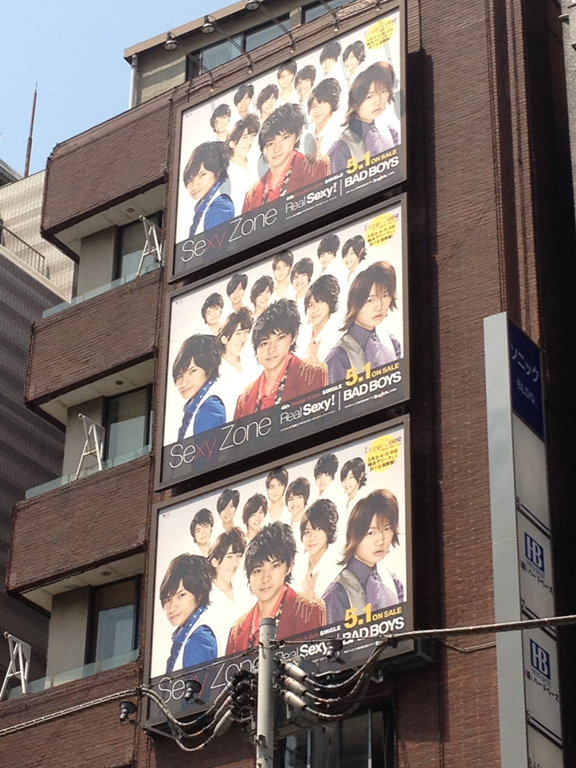 This is the Japanese bad boy (you must always remember to look up when in Tokyo). (bottom right). Perhaps they took it literally and meant “bad boys” due to their over-use of hair gel and feminine disposition? Or perhaps they are bad boys because no boy band should number more than 5 (I counted 12). Perhaps the 3 in front are the bad boys as they did not get the pre-photo shoot memo on only wearing white. Lost in translation … Never ceases to make me smile.